Paula Whyman is the author of YOU MAY SEE A STRANGER, a linked story collection that won praise from The New Yorker and a starred review in Publishers Weekly. Paula has been awarded the 2017 Towson Prize for Literature. Her stories have appeared in journals including McSweeney’s Quarterly, Virginia Quarterly Review, Ploughshares, The Hudson Review, andThe Southampton Review. Her fiction was selected for the anthology Writes of Passage: Coming-of-Age Stories and Memoirs from The Hudson Review (Ivan R. Dee). Her work has been supported by fellowships from The MacDowell Colony, Yaddo, The Studios of Key West, Rivendell Writers’ Colony, and VCCA. She was named a Tennessee Williams Scholar in Fiction by the Sewanee Writers Conference. Ms. Whyman is the recipient of grants from the Maryland State Arts Council and the Arts and Humanities Council of Montgomery County. She is Vice President of The MacDowell Colony Fellows Executive Committee. A music theater piece, “Transfigured Night,” based on a story in Ms. Whyman’s debut collection, is in development with composer Scott Wheeler. Ms. Whyman is founding editor of Scoundrel Time, a literary journal. 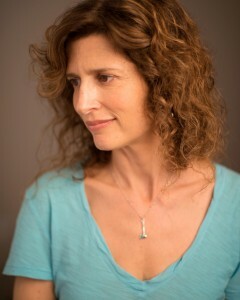 Her commentary has been featured on National Public Radio’s All Things Considered. Her humor essays have appeared in the Washington Post, and her interviews have appeared in The Rumpus. She wrote a weekly online humor column, Semi–Charmed Life, for Bethesda Magazine. Ms. Whyman has been a visiting writer for the PEN/Faulkner Writers in Schools program in Washington, DC, and The Hudson Review’s Writers in Schools and CUNY College Now program in Harlem and the South Bronx, New York. Her fiction is part of the curriculum at The Young Women’s Leadership School in Harlem. She received an MFA in literature and the Myra Sklarew Thesis Award from The American University. Before attending graduate school, Ms. Whyman was a book editor with the American Psychological Association, as well as a bar-back, a meeting planner, an editor of cheesy real estate guides, a clerk in a custom T-shirt and gag emporium, and a camp counselor, but not actually a Solid Gold dancer. She has always been a writer.